I love seafood. All seafood. But so many times I’ll stand in front of the seafood department and have such a hard time deciding what to get, and well, how to cook it. 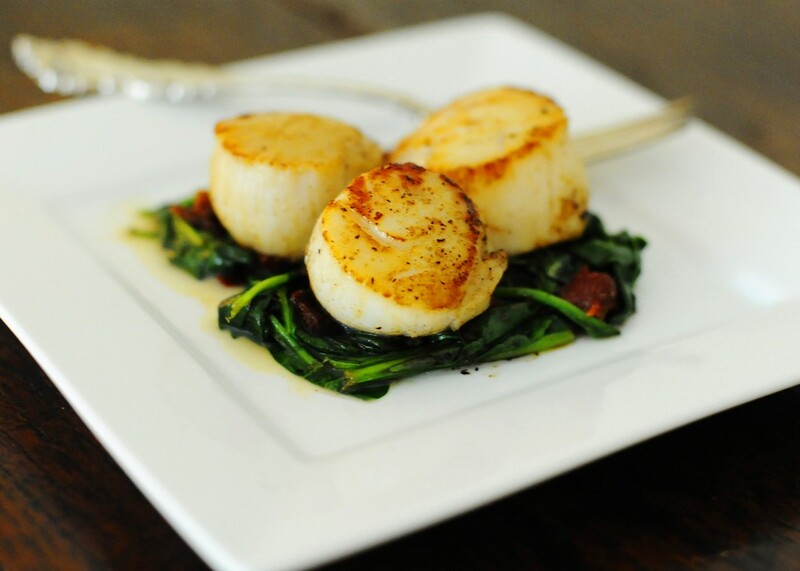 But when I go to a restaurant, many times I’ll get scallops because…YUM! But, with hubby being the crazy entrepreneur he is right now, again, we very rarely get seafood. But, when Whole Foods has wild sea scallops for $12/pound, $12 off regular price, you better believe I’m going to treat myself!! I forget just how easy and surefire scallops can be. Anyone can make them, and in no time at all! 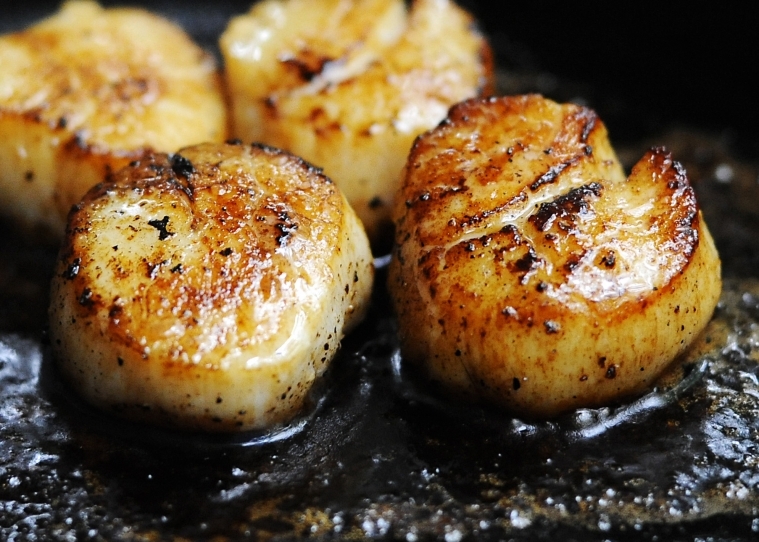 All you need to go with scallops is some good salt, a dash of pepper and some grass fed butter. 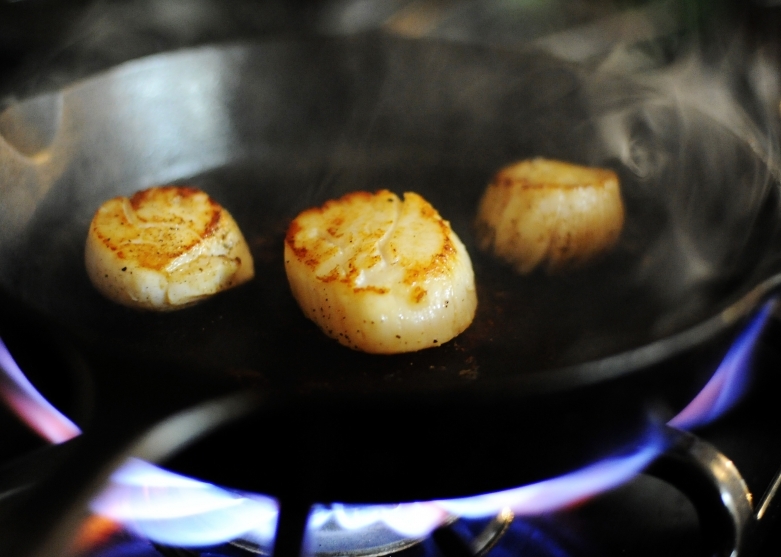 To get started, first dry off your scallops with a paper towel. If there is any moisture on them, they won’t sear quite as well. Next get out your cast iron pan and turn the heat way up! Next add about 2 tsp grass fed butter and let it melt. About a minutes after it’s melted, your pan is ready for searing. Place scallops in pan, coat with salt and pepper and flip when nice and brown, usually after about 3 minutes. Cook for another 3 or so minutes, turn down on low for another 2-3 more minutes, and that’s it! They’re ready! This was a melt-in-your-mouth, savor-each-and-every-bite meal. I had some with my usual celtic salt and pepper and they were fabulous. T hen I had some with some Truffle salt and woah, just when I thought these couldn’t get any better, I was proven wrong. This stuff is amazing, fresh, and handmade by a friend of mine! I also tried her pink Margarita salt and they were just as fabulous!! Oh I love salts! More to come on salt and these fun herb and flavored salts I’m playing with this week! 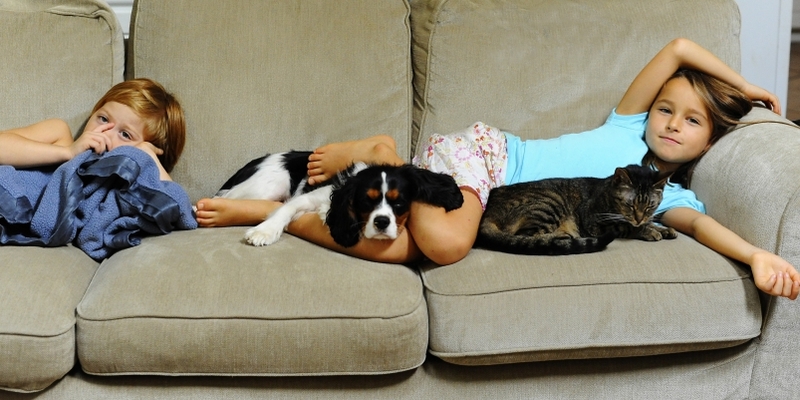 Hope you got to relax some and enjoy your weekend, too!